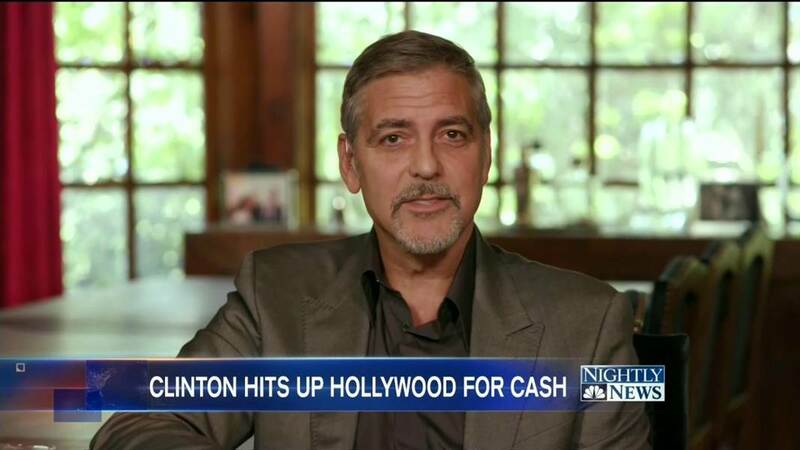 After raising 15 million dollars for Hillary Clinton actor George Clooney attempted to do some damage control contradicting his actions with an explanation that big money in politics is a bad thing. Clooney received some unwanted attention over the last few days for hosting fundraisers in support of the “Hillary Victory Fund” in Los Angeles and San Francisco. Big dollar events received a lot of negative attention and protests from Bernie Sanders’ supporters who were not happy that the event cost was $33,400 per person and $353,000 per table. Self proclaimed Hillary Clinton supporter joined Chuck Todd on Meet the Press where they discussed big money in politics. Clooney explained that he agreed with the protesters acknowledging they had every right to voice their opinion. Even though Clooney sounded like he was doing some damage control, Sanders’ supporters along with a number of Republicans were not impressed with his explanation. Large number of people voiced their opinion on Twitter criticizing Clooney arguing that he is part of the problem and that it is impossible to get rid of big money in politics by raising $15 million dollars by charging $33,400 per person. Americans should boycott anything George Clooney does. Have watched his last movie! ! !